The online database on drug safety for breastfeeding, LactMed, is adding complementary and alternative medicines. 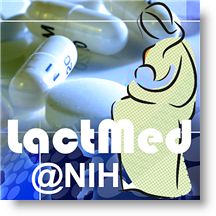 LactMed is run by the National Institutes of Health. And this information is also available as an app for the iPhone and Android platforms. Need to know more about drugs and breastfeeding? LactMed can help. Find information about maternal and infant drug levels, possible effects on lactation and on breastfed infants, and alternative drugs to consider.